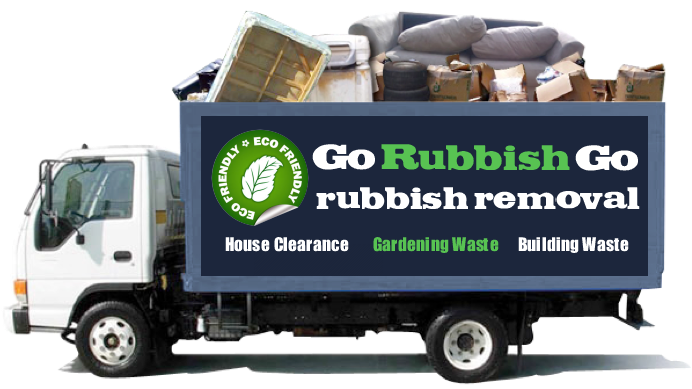 Go Rubbish Go is here to help you with your house clearance needs! If you have junk, unwanted goods or even waste left behind by builders then why not let us do the hard work for you? We offer top tier Hackney, E5 house clearance services that will allow you to say goodbye to mess and waste, without having to get your hands dirty. Enjoy more storage space and room in your home without needing to give up any of your free time by letting our seasoned experts take care of the work for you. 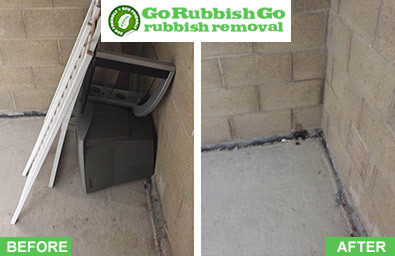 We’ll come to your property at a time that suits you, collect your rubbish and dispose of it quickly and efficiently. Book now by contacting us on 020 8610 9182! 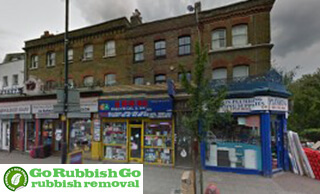 What makes us a good choice for your house clearance in E8? Our low prices! If you want top class clearance help without the expensive price tag then you don’t need to look any further. Every type of E5 house clearance Hackney service that we have to offer is very affordable. We offer competitive rates and fantastic value for money. You won’t need to choose between quality and price if you hire us, and with lots of special offers and heavy discounts, you won’t regret choosing our specialists! Obtain a free price quote today – with no obligation needed! – and you can see the value for yourself. Call today to find out more information and book! We’re the only Hackney house clearance company that you need in E5! Why should you choose us for your house clearance in Hackney, E5? We’re one of the most popular companies in the E5 area for professional clearance help, and it’s all thanks to our amazing perks and benefits. If you hire us you can enjoy full services that include everything from collection to disposal and recycling. There are lots of great reasons to choose us, from our fantastic money back guarantee and no hidden fees, to our friendly team with lots of experience. 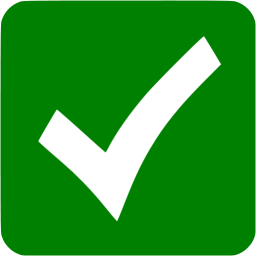 If you want to find reliable, effective and speedy Hackney house clearance E5 with guaranteed results, get in touch with us today! Call us on 020 8610 9182 and book today to and enjoy top quality services at low prices! You never know when you might need a dependable Hackney house clearance service, but if you choose our team you can hire us whenever you need to! Whether you have an emergency situation and could benefit from a same-day service, or if you need assistance on a weekend or Bank Holiday, we’re always ready to clear out your property in E5! You won’t need to rearrange your busy schedule to find your ideal house clearance – we’ll easily fit into your life and take care of the task for you. If you want fast, effective and reliable clearance services E5, get in touch with us today and book the professional care that you’ve been searching for! Hire us for eco-friendly and greener house clearance services in E5! It’s very important that we all work hard to keep our planet as safe as possible, and if you care about the environment then you’ll love what our company can do for you. We strive to offer nature-friendly house clearance Hackney help, by using vehicles and vans with lower emissions, and we won’t cut corners when it comes to your disposals. We’ll recycle up to 85% of your rubbish, and the rest of it will be properly taken care of so that you wouldn’t need to worry. You won’t find a greener and more reliable house clearance in E5, so why hire anyone else? Find out more about the ways in which we work to help the planet by talking to one of our specialists right now on 020 8610 9182! 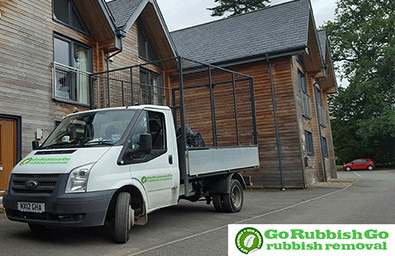 Go Rubbish Go will transform your home in Hackney by collecting and clearing the waste from your garage, bedroom, attic, garden and more! We’re able to guarantee the best results by making sure that our team in E8 work quickly and effectively, with attention to detail and no scrap left behind. You can always rely on our house clearance service as our team have the right training, skills and diligence, and we’ll clear your property in no time at all with a smile on our faces! Save time, effort and money by choosing our E5 house clearance team and say goodbye to the stress of clearing the rubbish from your home. Pick up the phone right now and speak to one of our customer services team to reserve your appointment – dial 020 8610 9182 today! Hackney is a district in the London Borough of Hackney. It boasts many lovely landmarks such as the Hackney Empire Music Hall, St Augustine’s Tower, The Clowns Archive and Museum, and lots of others. The neighboring areas of Hackney include Dalston, Homerton, and Bethnal Green among others. The Hackney area is located around 4 miles away from Charing Cross and many trains run through it, so transport is certainly not a problem for both visitors and residents. Schools in Hackney include BSix Sixth Form College and The Urswick School. Hackney also has a number of great shops, bars, cafes and offers plenty of entertainment opportunities.